Meet Jon Turk and James Bush! Associate Hydrogeologist Jon Turk, LHG and Project Hydrogeologist James Bush, LHG recently joined Aspect's Water Resources practice supporting our Seattle office. Here are five questions we asked to get to know them better. 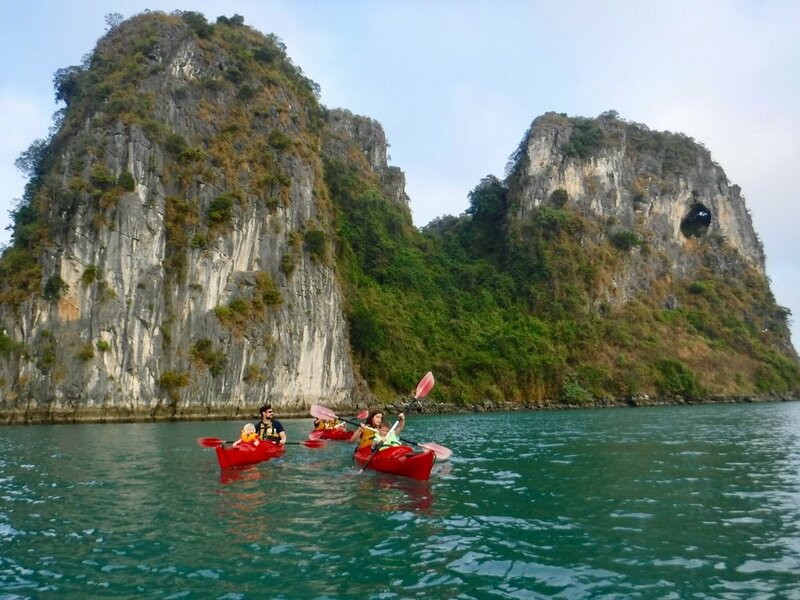 Jon and family kayaking near Elephant Island at the Bai Tu Long Bay World Heritage Site in Vietnam. I was born, raised, and educated in Ohio. I worked in Ohio for a few years, then transferred down to Florida for a previous firm. A few years in Florida was enough for the cravings of mountains and snow to take over. I’ve been in Olympia for about 9 years and consider it home. What inspired you to pursue hydrogeology? What made you curious about it? My early childhood was spent on the Chagrin River, near Cleveland, with a short walk to shale and cliffs and fossils to collect. It was in the same valley that my grandparents homesteaded, and where my mother grew up…so maybe you could say I was born into it. Some of my earliest childhood memories are rock collecting along the river and sliding down the waterfalls. I started rock climbing as a teenager, and yet somehow started college as a pre-law student. After my first year, I switched majors and haven’t given anything else a second thought. It is not so much my area of expertise (quantitative hydrogeology), but consulting in general, that gets me excited. The creative and technical problem solving, rewards of a successful project and happy client, providing value to the communities I work in, are really the most rewarding parts of it for me. Any sort of family adventure is at the top of the list. We try to raise our kids in a way that keeps them engaged with us, and consequently have dragged them through some incredible places way off the beaten path. We enjoy the outdoors as much as possible, climbing, cycling, kayaking, fishing, and traveling the world experiencing new cultures. I do some volunteer work with the WaYa Outdoor Institute, a non-profit summer day camp founded by my wife and friends, that combines STEM curriculum with outdoor adventure. I’m also an avid DIYer and roughly half way through a 5-year plan of complete home renovations. The next “big” trip we are planning will be in summer of 2019 to Nepal, Tibet, and Sri Lanka. However, my dream trip would be to spend some time down in Patagonia, then hop on a cruise to Antarctica. I hope to see a narwhal at some point in my life—they really are the closest living thing to a unicorn you know. I grew up in the Boise, Idaho area. It’s a place I really love, and one where I felt like I had a lot of opportunities. I moved to Washington seven years ago for the opportunity to practice hydrogeology with some talented folks, and it’s worked out really well. My hometown (Eagle, Idaho) is fairly arid and very dependent on groundwater, so folks started to worry about water when the area began to undergo a population boom. I knew that I wanted to be a scientist who did work that had a direct impact on the community around me. Water is a resource for which there are no substitutes, so hydrogeology was a great fit for me. The wide range in scale on which my work has an impact. Water is so connected across space and time, and it touches everyone’s lives in so many places. It’s invigorating and daunting when I think about how my work today will affect folks potentially many miles downstream and many years into the future. Day-to-day, I love the investigative nature of hydrogeology. Working out how to evaluate a resource that is mostly hidden in an efficient manner makes me feel like Sherlock Holmes on a case. Bringing together sparse information to make deductions and piece together an accurate picture gets me out of bed in the morning. My nights are usually taken up by rec league softball or volleyball. I’ve played baseball and softball since I was small, and being out on the diamond with friends on a summer night can’t be beat. I just got into volleyball last year, and learning an entirely new sport has been the best sort of challenge. I’ve also rediscovered my love of skiing the past few winters, and can’t wait until next season! In all seriousness I’m hoping that commercial spaceflight takes off in my lifetime. Seeing the Earth from space, experiencing microgravity, and seeing the stars without the atmosphere are things I couldn’t pass up if the opportunity every comes! Aspect strengthens its water resources practice with the addition of Associate Hydrogeologist Jon Turk, LHG and Project Hydrogeologist James Bush, LHG. Jon is a hydrogeologist with over 16 years of experience focused on quantitative hydrogeology for water, wastewater, and industrial markets for public agencies and private industry. 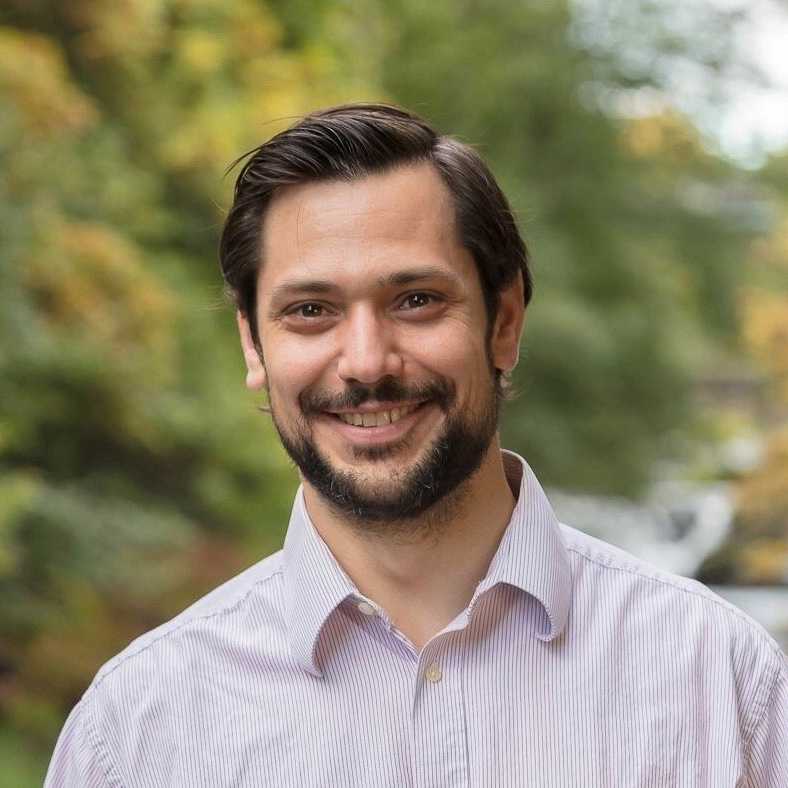 He will work out of Olympia, supporting Aspect’s Seattle office as well as expanding Aspect’s capabilities for clients in the south Puget Sound area. James brings over seven years of hydrogeologic and numerical modeling experience for groundwater projects. While at his previous firm, Brown and Caldwell, Jon led an integrated water resources management team providing regional leadership and national consulting for complex and integrated surface water and groundwater systems. He brings recognized skill in groundwater recharge, water supply management, wastewater reuse, and numerical modeling for clean water projects as well as site remediation support for Brownfields and Superfund projects. James also comes from Brown and Caldwell, where he was a primary technical contributor to groundwater projects, environmental site characterization, and numerical modeling projects throughout Washington, Oregon, and the western United States.